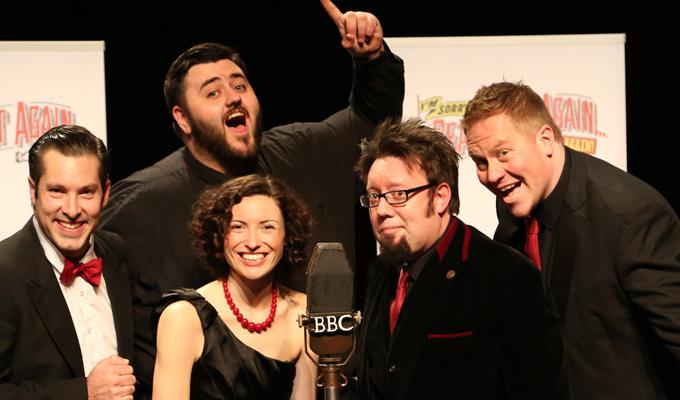 Classic radio comedy I'm Sorry I'll Read That Again is to hit the road with some of its original stars, – more than 50 years after it first aired. Graeme Garden, Tim Brooke-Taylor and Jo Kendall are among those taking part in the stage tour, alongside Mitch Benn, an avowed fan of the show. One or two of them will guest star at each date, alongside members of Gloucester-based Offstage Theatre Group, which secured permission to revive the show. The anarchic sketch show, which ran from ran from 1964 to 1973, also featured John 'Otto' Cleese, Bill Oddie and David Hatch – later to be managing director of BBC radio. It spawned both I'm Sorry I Haven't A Clue, when Garden suggested an improvised spin-off to keep the spirit of the show alive, without the commitment to writing scripts, and The Goodies. Brooke-Taylor said: 'One of the best bits of my working life has been the cast recordings of I'm Sorry I'll Read That Again. We, the cast, had huge fun, and so did the audience. Producer Barnaby Eaton-Jones, who adapted Garden and Oddie's original scripts with the aid of comedy historian Jem Roberts, said: 'I can genuinely say, and I know I speak for the rest of the cast too, that we have all been in helpless laughter during rehearsals and it's a show that revels in its silliness and is the perfect tonic to take you away from the madness going on in the world around us right now. The new tour follows a 2015 revival and stars Eaton-Jones alongside Hannah Boydell, William KV Browne, David Clarke and Ben Perkins, with live music from Andy Farrington & The Boys.